Orange Campus is the Orange Group’s university for managers. 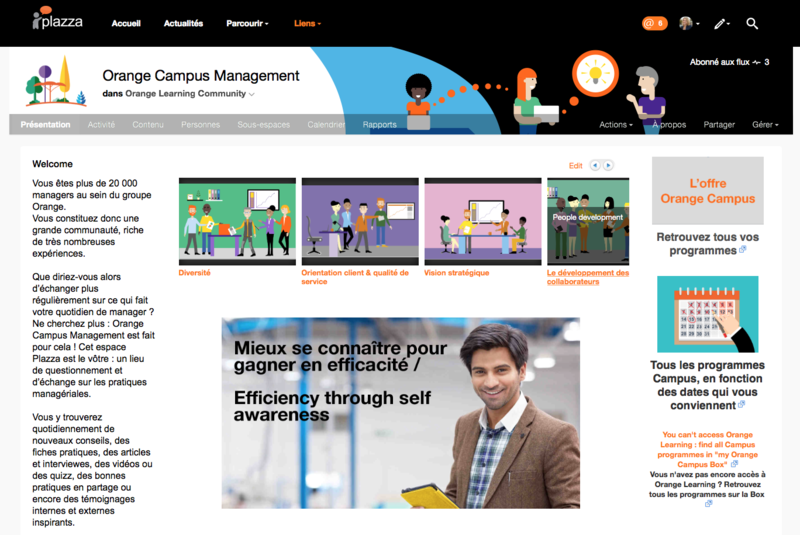 In September 2016, with the support of Business Digest, Orange launched Orange Campus Management community on the group’s social network, Plazza. Within months of its launch, the new community is already a big hit! As part of the new Essentiels2020 strategy, Stéphane Richard emphasizes Orange’s commitment to all of its employees — the Group’s “heart and soul.” This commitment can be summed up in Orange’s promise to be a caring, digital-friendly employer who listens and responds. With this in mind, Orange Campus has created an online community for the Group’s 20,000 managers to supplement its development programs. The goal of the community is simple: to be an on-line space where Orange’s managers can chat, share good practices and discuss everyday work issues. To achieve this aim, Orange Campus placed its trust in the experts at Business Digest to help them design, moderate and roll out the editorial strategy for the community. 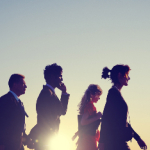 How does Business Digest contribute to the new community? – It brings energy and ambition, delivering an editorial strategy that reflects the major concerns of the Group’s managers. – Business Digest draws on its expertise as a publisher and content curator to provide high-impact videos, short visuals and articles on thought-provoking trends and solutions that stimulate debate and action. This latest community already holds first place (out of around 15,000) in the rankings for Plazza, Orange’s suite of in-house social networking communities. It boasts 2,000 highly active subscribers who comment and share content, and sometimes participate by publishing directly themselves. 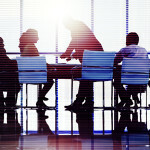 In short, it seems as though the community is meeting a real need for dialogue and debate among the Group’s managers. The immediate success and popularity of Orange Campus Management provides additional motivation to continue developing this managerial tool!